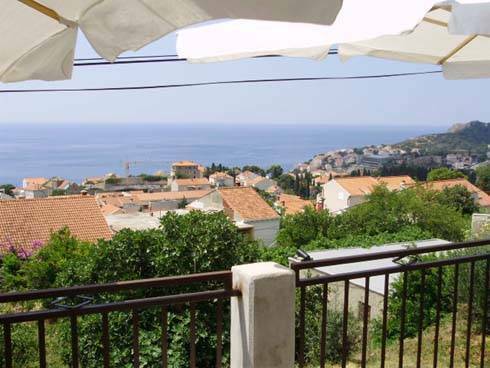 The family house is situated in a quiet area with a private houses 15 minutes walking distance from the Old Town. I rent two Apartments. Apat. 1 has bathroom, double room, living room with kitchen and terrace with a see view-. Apat. 2 has bathroom, double room and living room with kitchen and terrace with a see view. 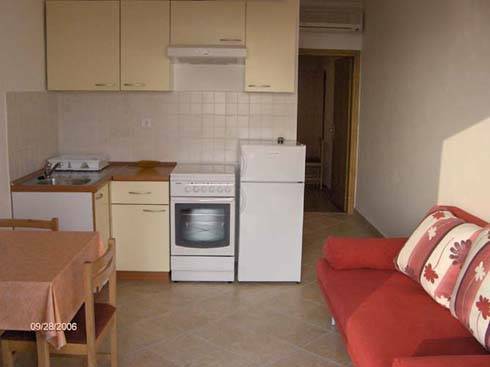 Both Apartments are new, 3 star rating, fully equipped and air-conditioned. In front of the apartments there is a terrace with a see view , tables and umbrellas. Near the house there is bus stop and a gratis parking. Apat. 1 has bathroom, double room, living room with kitchen and terrace. Apat. 2 has bathroom, double room and living room with kitchen and terrace. Both Apartments are new, fully equipped and air-conditioned. 24-hr front desk Children permitted Linen included Multi-lingual staff No curfew Open 24 Hours Our apartments are new Parking (free) Pets not allowed Restaurant on site Smoking permitted air conditioned and fully equiped. The bedrooms in both apartments have double bed, closets and lockers. 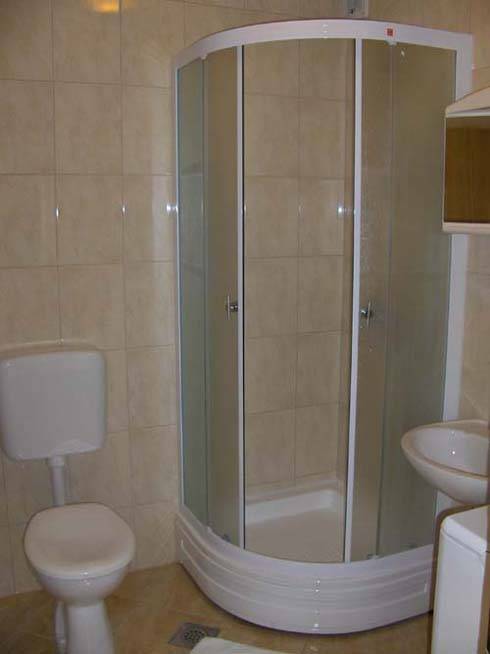 The bathroom has shower bad, toilette, lavatory with a mirror and all toiletries. The kitchen – living room has a cooker (gas and electric), oven, dishes, a refrigerator, a sink with a warm water, a dinning table, tv and a couch. In front of the apartments there is a terrace with a see view , tables and umbrellas. Near the house there is bus stop and a gratis parking. 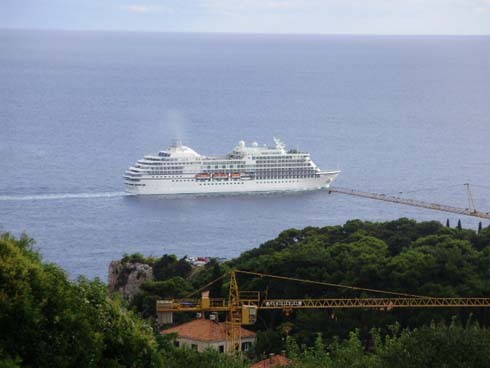 The house is 10 minutes by bus from the port of Gruz and a main bus station. It is half hour from the airport by bus. From the center to the house use nomber 3 which is in a circle way whole the day. 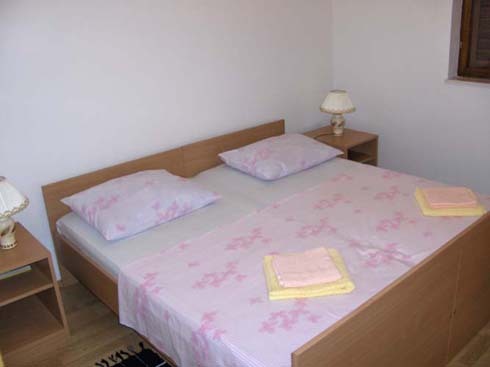 The house is 10 minutes by bus number 3 from the port of Gruz and a main bus station. It is half hour from the airport by bus.